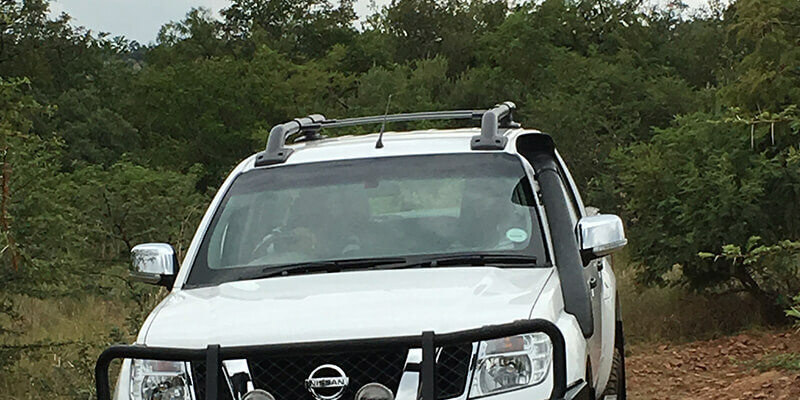 A snorkel is one of those things every off-roader wants on their vehicle, it just looks so cool, also known as a raised air intake it does just that, allowing the engine to breathe cooler cleaner air when travelling in dusty conditions as well as improving your vehicles wading depth when traversing water or crossing rivers. The old rules still apply, check the depth of the water as well as the undersurface and strength of the current, and in other words wade the obstacle. However before fitting a snorkel some homework may be required, check your specified wading depth, air entering the intake may not be the only reason for the stated figure, so consider other components as well especially things like alternators and starter motors. Invest in a reputable quality brand that is custom made for your vehicle as they come with the necessary gaskets and mounts designed for your vehicle, if possible check that the snorkel is approved by your manufacturer. Understand that the installation process will mean that you will have holes cut in the bodywork and that you will generally not be able to remove the snorkel when you sell the vehicle. Make sure that the installation is properly done and that you ensure that a reputable fitment centre is used – check that they will seal the joints with silicone otherwise the efficiency will be drastically reduced. Any bodywork cuts should also be rust proofed as well. Once fitted check the system to ensure that you are happy with the fitment and test it off-road, regularly check all fittings and seals to be sure it is fully functional. Protect electric components from severe immersion. Prevent fast flowing water from carrying a vehicle away. Stop water seeping into the cabin when you are stuck- you will still need to walk the water crossing and observe the passage of other vehicles. Keep wading to a minimum only traverse water if you have to and keep the crossing to a few car lengths do not try running kilometers submerged – when in doubt look for an alternative route.